Sign up for our RED ROCK NEWSLETTER! 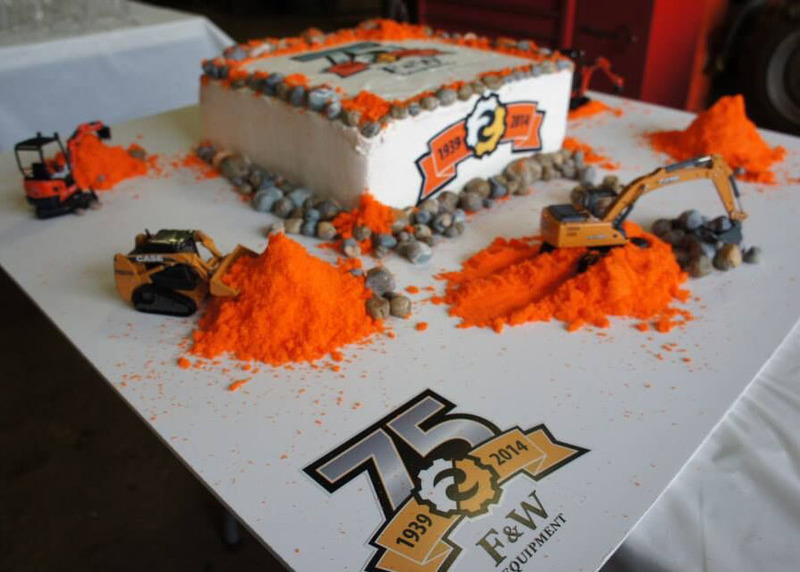 Harold Funk founded F&W Equipment as a welding service in 1939.  By the time Harold’s son Roger began working with Red Rock in 2011, the company had expanded to serve the Connecticut construction market. The family brand needed a digital upgrade, and Roger sought a fresh identity, a revamped website, and new customers. The F&W brand was stuck in the past, and the 2001-era website lacked an online footprint. F&W needed a full digital transformation that would bring the company to the forefront of the construction market, increase visibility, and boost revenue. Red Rock’s challenge was to weave F&W’s long-standing industry history into a fresh and compelling company narrative, both online and off. Reinventing the F&W identity was the first step. 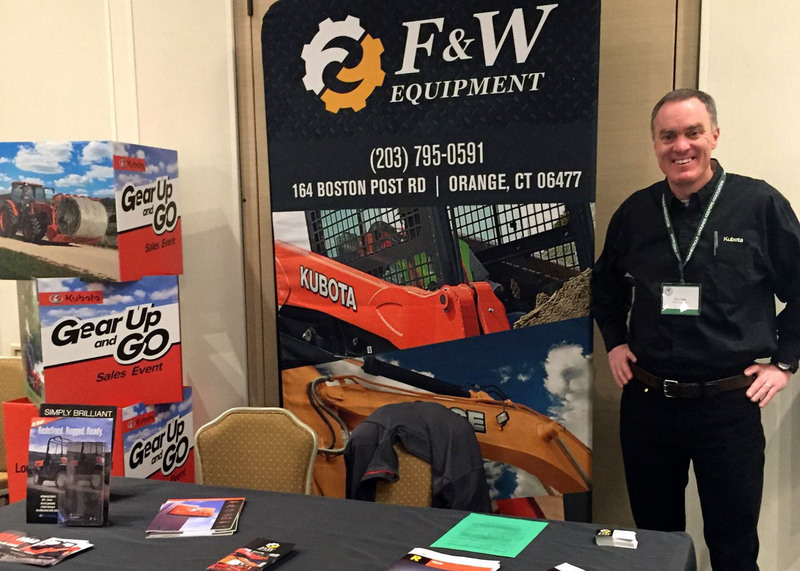 A new and energetic tagline, “Fun at Work,” captured the enthusiasm operators have for their machines and gave F&W an invigorated approach towards B2B and general contractor markets. Red Rock grew F&W’s social media channels with this new tack and wowed fans new and old with a fresh, optimized website. Revenues in sales, rentals, parts, and service all saw marked growth under the new campaign. 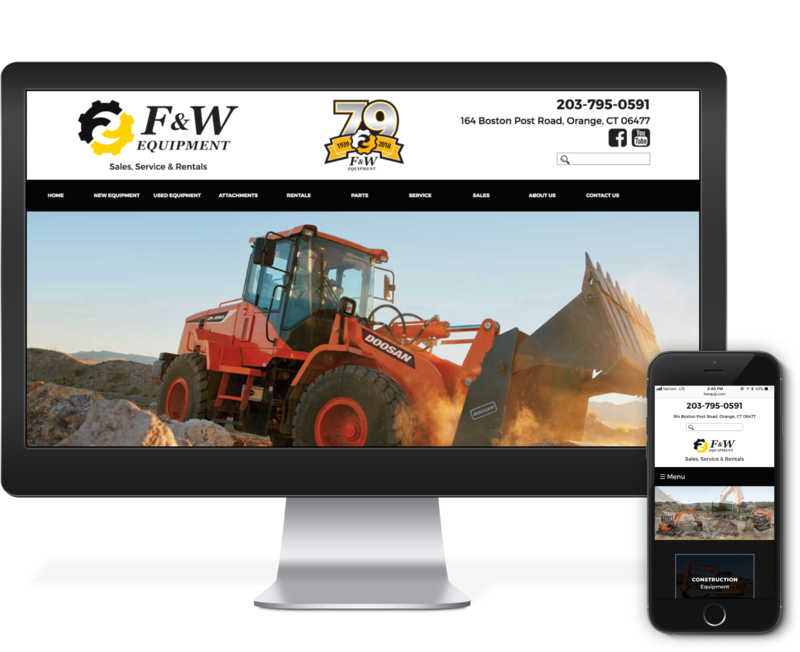 Field operators were constantly looking for equipment details and specs while they were on site; thus it was key to bring each of F&W’s departments together in a mobile-friendly way. A clean design with recognizable construction industry colors made the new website simple to navigate across every screen. Using a combination of geo targeting and lapsed customer lists, Red Rock launched a series of direct mail postcard campaigns to inspire refreshed relationships. High-quality, high-gloss maillings featuring F&W’s most popular machines renewed sales and rental interest in customers new and old. Facebook ads effectively and affordably targeted younger customer demographics in our focus market areas, driving website traffic to new heights. 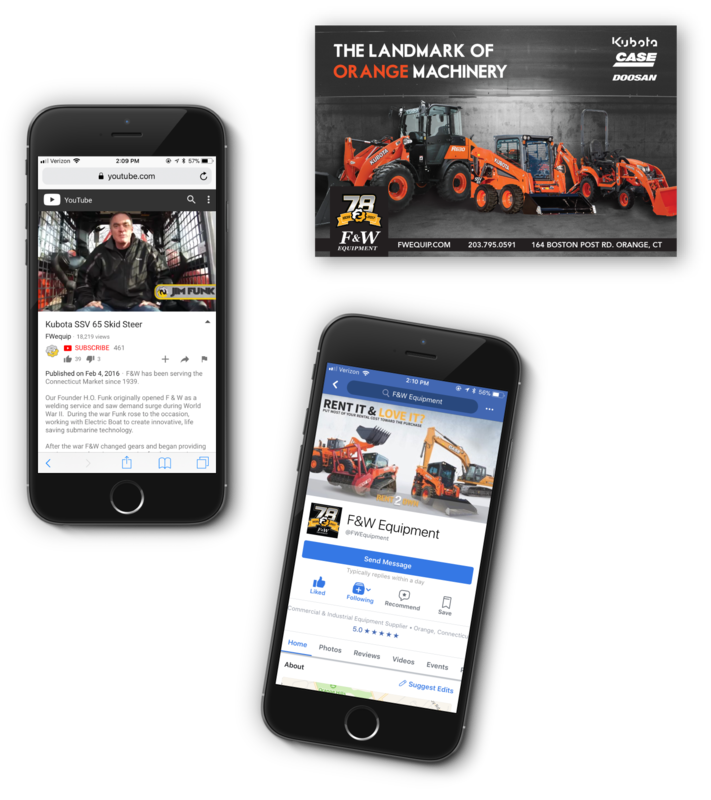 YouTube proved to be the perfect platform for product demonstrations — Red Rock created quick, high-quality videos of Kubotas tearing up driveways and digging foundations so customers could see the machines’ capabilities in action. 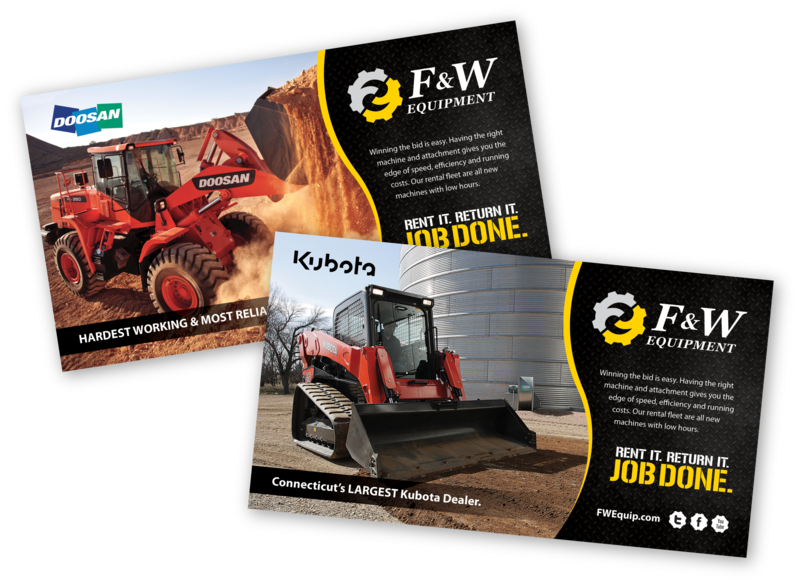 F&W’s cost-friendly Rent2Own and Attachments programs were the primary focus of our social campaigns. Specialized attachments convert machines into “multi-tasking bosses” on any work site. Utilizing both traditional and digital media channels, Red Rock showcased a vast range of attachments for numerous machines. This low-cost purchase served as a gateway into the F&W brand, paving the way for ongoing customer relationships and bigger buys down the line. The Rent2Own campaign was another initiative inviting customers into new machines without the big purchase commitment. 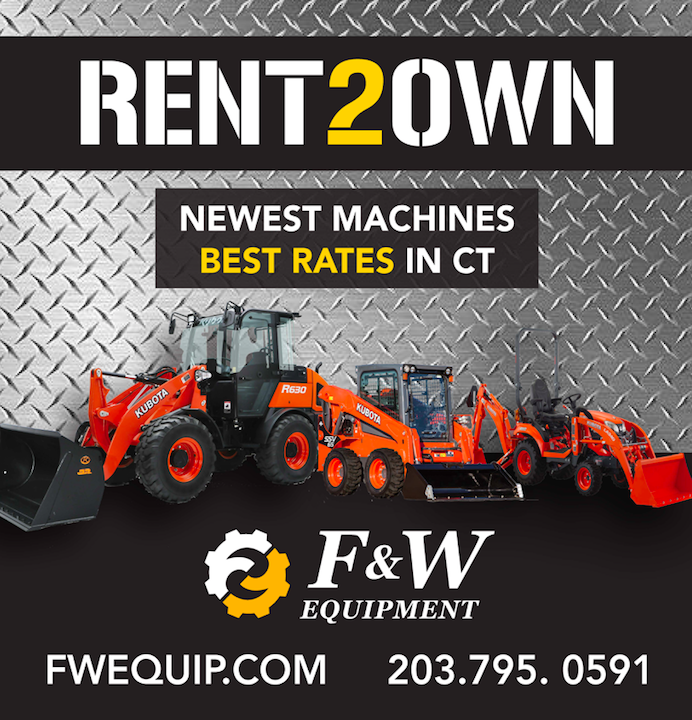 Advertised via email, postcards, and cross-platform online ads, the Rent2Own program allowed seasoned and first-time customers to experience the comfort and performance of top-tier machinery. 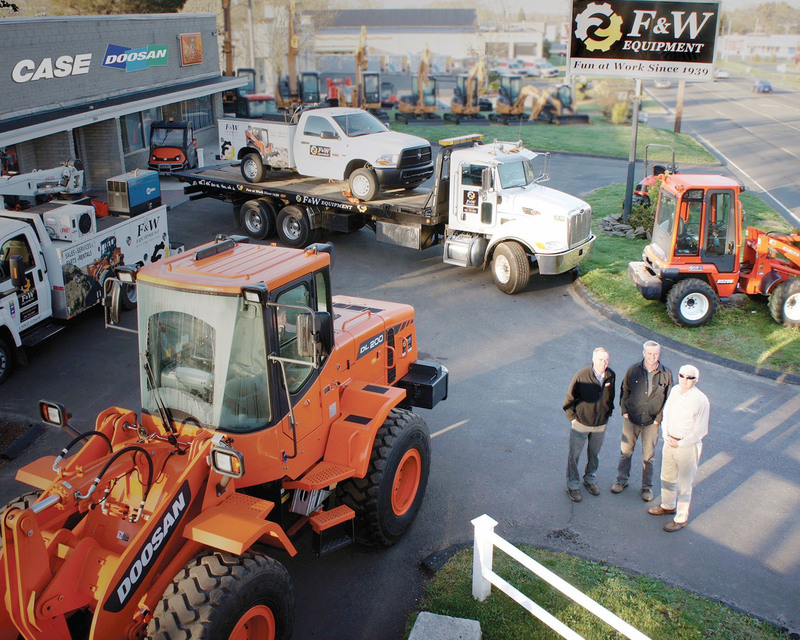 Rent2Own quickly became one of F&W’s most popular offerings. 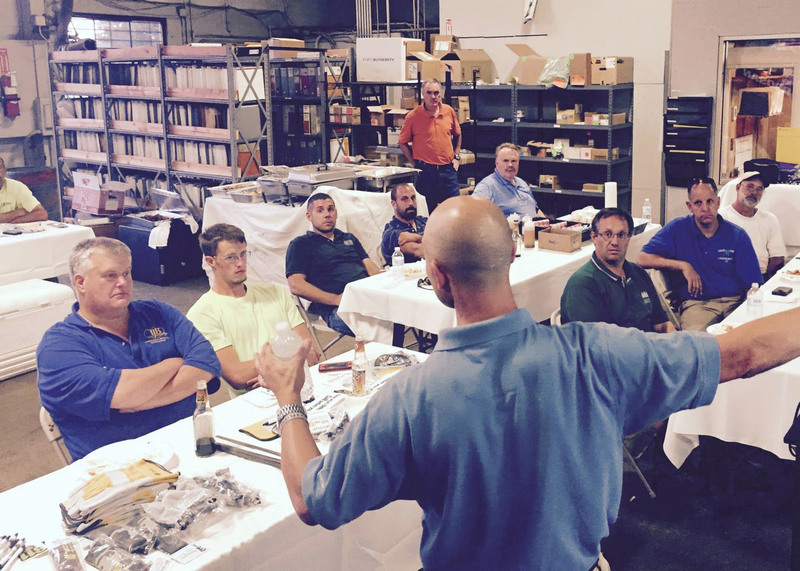 F&W served as host to the Connecticut construction industry by holding a series of educational events at their facility. One of our signature community events featured the national “811 Call Before You Dig” safety campaign. These free events were a creative and useful way to connect with established and would-be F&W customers. Red Rock also helped organize and announce F&W’s memorable 75th anniversary celebration with a gala dinner, vendor gathering, and a press release broadcast to local and industry media. This was a major milestone for the family-owned company, and Red Rock was thrilled to be a part of it.